One single white rose, backed by the dark green gloss of ivy. 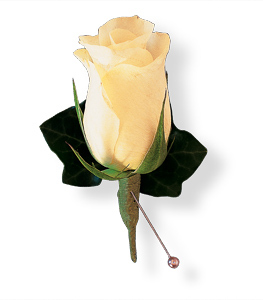 A boutonniere of one full-size white rose and green ivy. Page loaded in 0.5353 seconds.